Did you hear about the upcoming fundraiser hosted by friends and family of Sarah Hudetz? 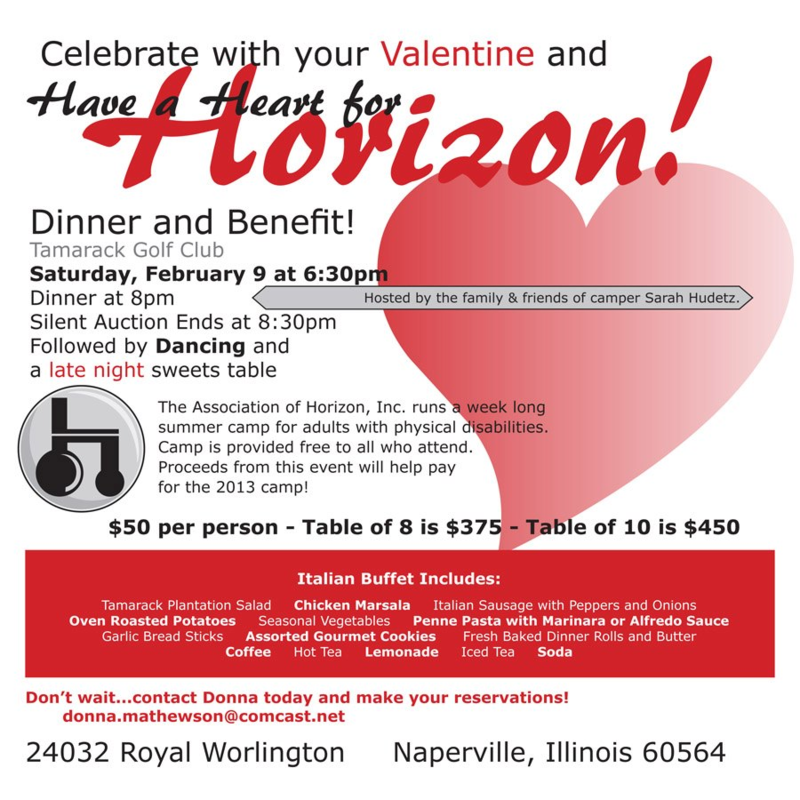 The Have a Heart for Horizon Dinner & Benefit will be held on February 9th, with all proceeds going towards Horizon Summer Camp. 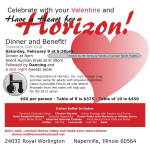 There will be dinner and dancing along with wonderful auction prizes. For more information about the event and how to register, click the image below. Next PostNext Eat Wings. Raise Funds. It Pays.